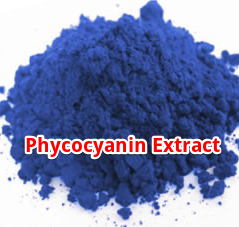 Phycocyanin is a pigment protein complex that is heavily sought after for its many health benefits. But how can get phycocyanin? What is the best phycocyanin supplement? Spirulina is a great source of phycocyanin, and its all natural. Supplementing spirulina will provide you with a good amount of phycocyanin, and I’ll go over exactly how much phycocyanin you can expect to get. But first, for those of you who don’t already know, or for those of you who just need a little refresher, I’m going to go over what phycocyanin is and its more important health benefits. Phycocyanin is a phycobiliprotein that is common in many cyanobacteria, such as spirulina. It plays a very important rule in the process of photosynthesis and directly absorbs sunlight. Since phycocyanin’s chemical structure is very similar to that of bilirubin, you would think that it would have similar properties and benefits, and you would be absolutely correct to think that. There are a lot, but let me just go over a few of the main ones. Antioxidant – Phycocyanin has the ability to fight off free radicals. Free radicals are unstable molecules that occur within the body and cause harm due to their instability. Phycocyanin, being a powerful antioxidant (like bilirubin) is able to interact safely with free radicals and prevent damage. It is important to have enough antioxidants to keep a stable antioxidant to free-radical balance. Anti-inflammatory – Phycocyanin is shown to inhibit the COX-2 enzyme, which is responsible for much of the inflammation and pain that goes on in the body . Inhibiting this enzyme leads to both reduced inflammation and pain. This is a proven method of reducing and treating inflammatory type diseases such as arthritis. Immune Booster – Another thing you should know is that phycocyanin is an antiproliferative as well as a proliferative . This means that it prevents or slows down the spread of cells and can also increase the spread of cells. It does so in a an optimal manner, slowing bad cells and increasing good cells. It has proven to be effective in treating diseases such as cancer by reducing, and in some cases eliminating the mutant cells. Ok, so there are a few benefits to consuming this incredible molecule. But now you need to know if spirulina is that good of a source. Phycocyanin is one of the major phycobiliproteins that spirulina contains, so as you could imagine it makes up a good bit of spirulina’s overall content. Spirulina generally has a phycocyanin content of around 10-16% of its dry weight. But this number varies depending on things like nitrogen levels in the water, the amount of sunlight, and the drying technique used. It can vary greatly and has been found to have levels from as low as 4.71% all the way up to 22.3% . The environment in which spirulina is grown as well as the drying techniques used make a huge difference in its nutrient content, and this is a big reason why you need to buy spirulina from a quality source. A common dose of spirulina if you are taking powder is a tablespoon, which is 7g. Based on the general range of 10-16% phycocyanin content this would mean you are getting anywhere from 0.7 – 1.12g of phycocyanin. A common dose for spirulina tablets is around 3g. And you could expect to get anywhere from 0.3 – 0.48g of phycocyanin. But again, these are very general numbers. Cheap and poor quality spirulina supplements will likely be grown in poor quality environments where they will be incapable of developing good nutrient profiles. Spirulina has many many nutrients that can benefit human health in all sorts of ways, after all it is the most nutrient dense natural food on the planet. But phycocyanin is by far one of the most notable. Among its many benefits it has powerful antioxidant, anti-inflammatory, and antiproliferative properties. This can help with anything from general health, to more severe health cases like arthritis and even cancer. The best natural source of phycocyanin is spirulina. And spirulina is growing in popularity, now being available in powder, tablet, or capsule form. It is available in many natural health stores around the world, but is easier bought online. It is essential that you buy quality spirulina. If you don’t, you may be wasting your money on spirulina that has an inadequate nutrient profile. Not only that, but spirulina has the ability to absorb toxins from the environment. So if its not grown in a quality and clean environment this could be a problem. If you do choose to buy spirulina online there are some products that I recommend. I recommend them because they are grown in with quality assurance and come from reputable sources. To see the products I recommend Click Here for my product reviews. 1) HELLWEG, BRENDAN. “With New Research, Toasting to Health.” Yale Daily News With New Research Toasting to Health Comments. Yale News, 17 Feb. 2015. Web. 01 Apr. 2016. 2) Selective inhibition of cyclooxygenase-2 by C-phycocyanin, a biliprotein from Spirulina platensis. Biochem Biophys Res Commun. 2000 Nov 2;277(3):599-603. 3) C-Phycocyanin from Oscillatoria tenuis exhibited an antioxidant and in vitro antiproliferative activity through induction of apoptosis and G0/G1 cell cycle arrest. Food Chem. 2013 Sep 1;140(1-2):262-72. doi: 10.1016/j.foodchem.2013.02.060. Epub 2013 Feb 24. 4) Over Production of Phycocyanin Pigment in Blue Green Alga Spirulina sp. and It`s Inhibitory Effect on Growth of Ehrlich Ascites Carcinoma Cells. Journal of Medical Sciences, 2003. 3: 314-324.